Photo : Copyright © Gilbert Pool 2011 [ iSEYco (Pty) Ltd ]. All rights reserved. All comments related to the Anse Royale Beach Park Re-development proposal should be submitted here. Please indicate the district that you presently reside in. 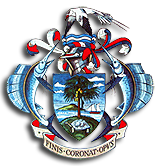 All comments related to proposed commercial centre for Anse Royale should be submitted here. 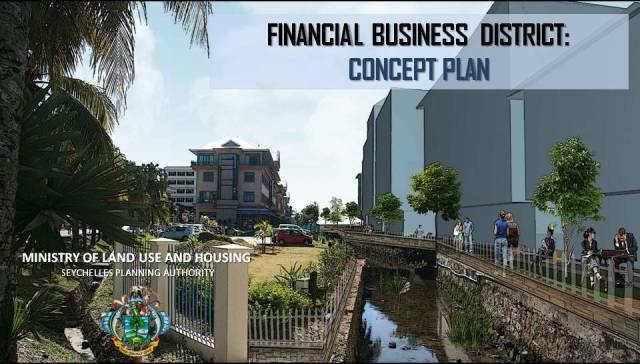 All comments related to Financial Business District Concept Plan should be submitted here. All comments related to Urban Development Guideline for Victoria should be submitted here. Minister Christian Lionnet, Minister for Land Use and Housing, had the privilege of launching the first charette to discuss the Seychelles Strategic plan this morning in room one of the International Conference Centre. No sooner had the kick off meeting been organised the Planning Authority started with its consultations with key stakeholders from across the Government, NGO, district Authorities and Private sectors in Seychelles on the preparation of the Strategic Plan. This is of course an essential element of the project being implemented with the support of a London based international consulting firm, ARUP, recruited for that purpose. The aim of the Plan is to build on existing aspirations and set a vision for the future of the Seychelles up to the year 2040. The Strategy will deliver sustainable and integrated solutions for the economy; the community; and the environment and address a number of critical issues such as establishing opportunities for growth and sustainable locations where development will occur across Seychelles. Boat owners and the members of the fisherman community of Anse Royale were able to express their views and concerns on the Anse Royale Beach Park Project on Saturday, 12th July 2014 at 1430hrs. The Principal Secretary for Land Use and Housing, Mr Joseph Francois welcomed everyone to the consultative meeting. He introduced the main speakers, Mr Yves Choppy, the Principal Secretary for Project Planning and Implementation, Mr Roy Clarisse, the Deputy CEO of the SFA as well as the Head Architect for the project, Mr Ron Felix, from the Planning Authority who was the one charged with delivering the technical presentation on the project. MLUH MAINTAIN A LIBRARY OF STANDARD HOUSE PLANS AVAILABLE TO PURCHASE. USING SUCH HOUSE PLANS WILL HELP YOU SAVE MONEY ON YOUR OVERALL DEVELOPMENT COSTS. CLICK ON THE IMAGE BELOW TO SEE THE WHOLE LIBRARY OF PLANS. We welcome your comments, ideas and suggestions. Provide this if you would like us to get in touch with you.